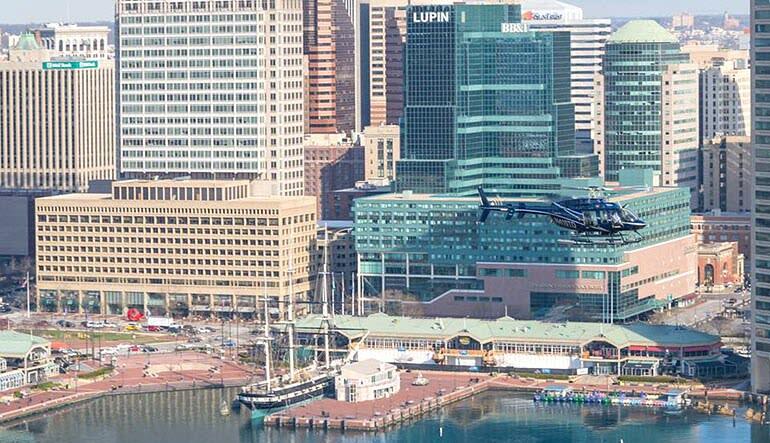 This Baltimore helicopter tour is the perfect jaunt for families on the hunt for a quick afternoon adventure! This Baltimore helicopter tour is the perfect jaunt for families on the hunt for a quick afternoon adventure! Travel high above the skyline while snapping photos of some of Maryland’s most iconic sites. The VIP excursion takes place in a Bell 407 luxury helicopter, the only touring seven-seater in all of Baltimore. The all-star chopper guarantees lots of space and unobstructed views! 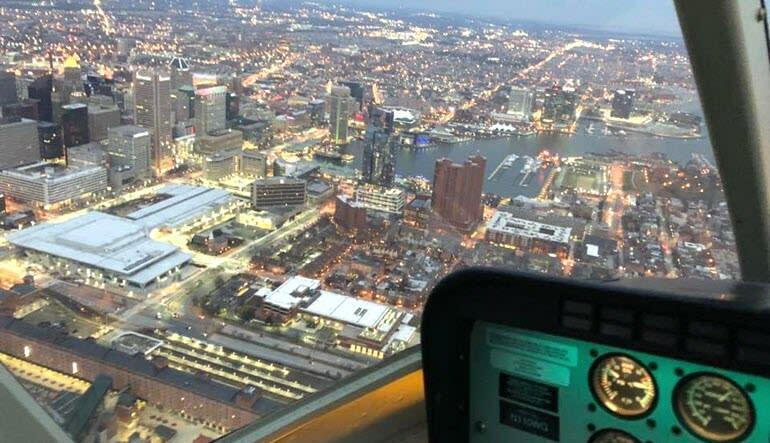 Take to Baltimore’s skies in a Bell 407 helicopter. Travel high above downtown Baltimore for 12 minutes. Depart from the Northwest harbor with incredible views of Fort McHenry. 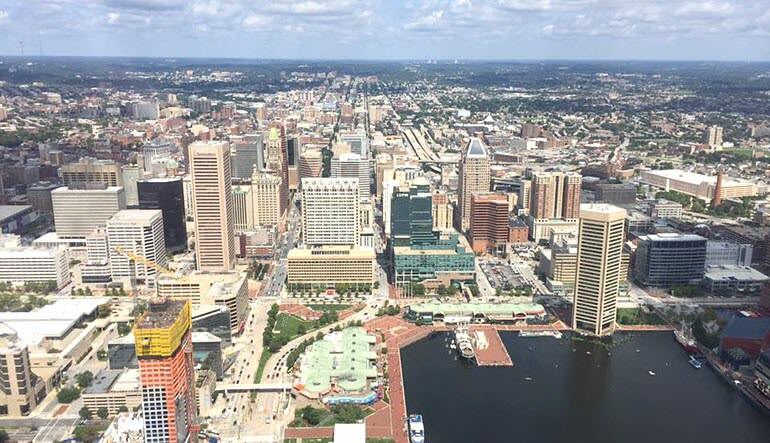 Soar over Fells Point, Oriole Park and the Raven’s M&T Bank Stadium! Snaps shots over John Hopkins Hospital and the famed Domino Sugar Factory. Continue on toward Natty Boh Tower and Patterson Park. See historic carriers and submarines including the USS Constellation and the USS Torsk! By awed by the watery scenery and countless passing ships. As the second largest seaport in the mid-Atlantic, Baltimore offers some of the most refreshing aerial views in the Nation! Kaitlin was very friendly and stayed in touch with me all day about the weather because we had to delay due to cloud cover. Everyone was flexible and accommodating! Casey our pilot was very informative and friendly and made us feel really comfortable. Awesome experience from beginning to end. Throughly enjoyed myself. Would highly recommend. Awesome, Friendly, Knowledgeable, Amazing EXPERIENCE! both guys (Young) were awesome!